California has just extended the film production tax credit from 2020 through 2025 and made the fund larger. California is attempting to play catch-up with other states that offer tax subsidies for local production, and while California’s provisions are not as generous as other state tax credits, the new legislation provides substantial benefits for film and television production in California. Unless otherwise defined in the text of this article, all capitalized terms have the meanings set forth in the glossary at the end of this article. This article updates the continuing rules and adds the new rules to provide a comprehensive overview. A “Relocating TV Series” (regardless of length of each episode) with a minimum per episode Budget of $1 million that films its prior season (a minimum of six episodes) outside of California and for which the Production Company certifies to the Commission that availability of the credit is the primary reason for relocating to California. Either (a) 75% of the principal photography days (i.e., not “pick-up” or second unit shooting) must occur wholly within California or (b) 75% of the Budget must be incurred for (i) the payment of services performed within California and (ii) the purchase or rental of property used within California. For a TV Series, this test is applied to the aggregate production days for all episodes in the season. Who Gets the Credit? The credit is given to the entity that pays the Qualified Expenditures, produces the Qualified Motion Picture, and “controls” the Qualified Motion Picture during the Production Period (referred to as the “Production Company” in this article), even if it does not own the copyright to the Qualifying Motion Picture. It will be higher for films that don’t qualify for the higher 25% credit within a particular category. For example, a Feature that has visual effects that qualify for the 25% credit will have a lower Jobs Ratio than one that doesn’t, even if all the visual effects costs are compensation, and is thus less likely to get any credit at all. Initial Application. 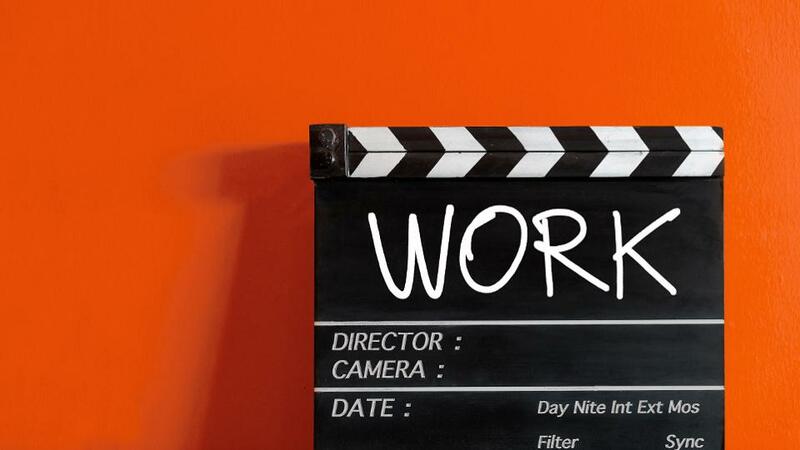 To apply for the credit, the Production Company must submit an initial application to the Commission containing detailed information set forth in the statute at least thirty days prior to commencement of principal photography. The required information includes (a) financials on the Production Company, (b) the names of all partners or members if the Production Company is a partnership or LLC, (c) the estimated amount of compensation included in Qualified Expenditures, and (d) a statement that the credit is a significant factor in the applicant’s choice of producing the film in California. Principal photography must commence during a window commencing after the Commission approves the initial application and ending no later than 180 days after that date, unless delayed due to a force majeure event. This means that the Production Company must hold up principal photography until the application is approved. Final Certification. Upon Completion, the Production Company then submits a request for final certification to the Commission setting forth additional detailed information set forth in the statute. Critically, one of the additional items of information requested is the copyright registration number, but it can take up to sixteen months after a copyright registration application is filed with the Copyright Office before a work is registered and the registration number is obtained. Fortunately, the Commission interprets this requirement to refer to copyright registration of the screenplay or the Qualified Motion Picture, which helps significantly. The Production Company must also submit a statement of Qualified Expenditures signed by a certified public accountant chosen by the Production Company who is licensed in California and has attended the Commission’s orientation seminar before the final credit is approved. The credit is limited to the amount certified by the Commission. Sale of Credit. The Production Company (and not its owners if it is a pass-through entity) for an Independent Film only may make one sale of the credit against income taxes (and not sales or use tax) to an unrelated party if, prior to the sale, the Production Company reports certain relevant information set forth in the statute to the Franchise Tax Board. However, the credit may not be sold more than once, so brokers acting as financiers must be careful to structure the transaction as a “loan,” not a “purchase” and “resale,” of the credit. “Budget” means an estimate of all expenses incurred with respect to a Qualified Motion Picture during the Production Period. The statute states that the Budget must be the same as the budget used for all other purposes (the drafter must not know that films often have multiple budgets depending on who is asking!). The Budget includes the total budget for a Qualified Motion Picture, including any portion funded by third parties. The Budget excludes financing costs, but it is not clear if it includes the standard 10% contingency. The Budget is relevant only for purposes of determining if an audio-visual work meets the minimums required to be a Qualified Motion Picture, and it is not relevant for calculating the amount of the credit. “Commission” means the California Film Commission. “Completion” means completion of the composite answer print for films, the digital air master for television programs, the digital air master of the last episode of a season for a TV Series, or the digital cinema package, if applicable. “Feature” means a film intended for commercial distribution to a motion picture theater, directly to the home video market, or via the Internet. “Independent Film” means a Feature with a minimum Budget of $1 million, and the Production Company for such film is not publicly traded and is not more than 25% owned, directly or indirectly, by publicly traded companies. “Los Angeles 30-mile Zone” means the circular area within a thirty-mile radius from the intersection of Beverly Boulevard and La Cienega in Los Angeles. “Production Company” has the meaning set forth in Paragraph 4. “Production Period” means a period commencing upon preparation for physical production after there is a binding agreement for funding or greenlighting and which continues until Completion. “TV Series” means a television series with episodes longer than 40 minutes (excluding commercials).